One of the famous tourist places in the United States is the Grand Canyon . Grand Canyon even be one of the seven wonders of the world . 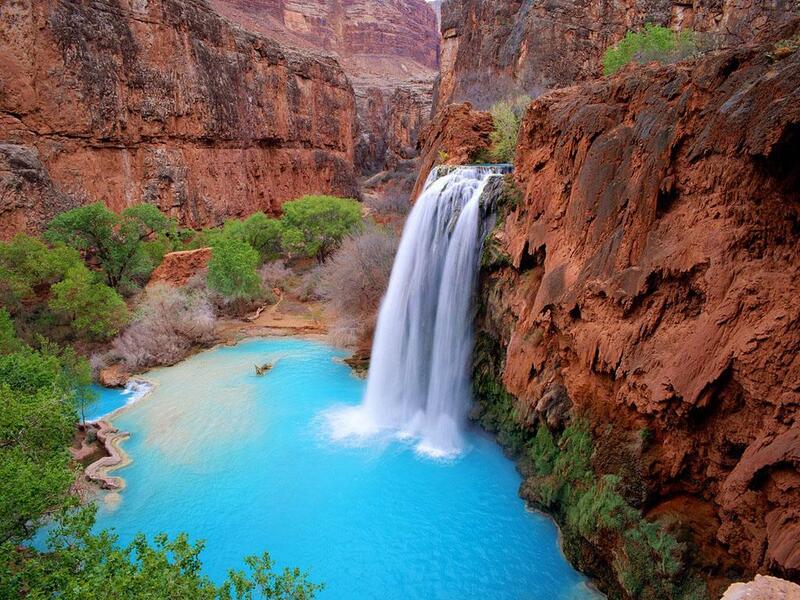 Grand Canyon is located in northern Arizona , USA. 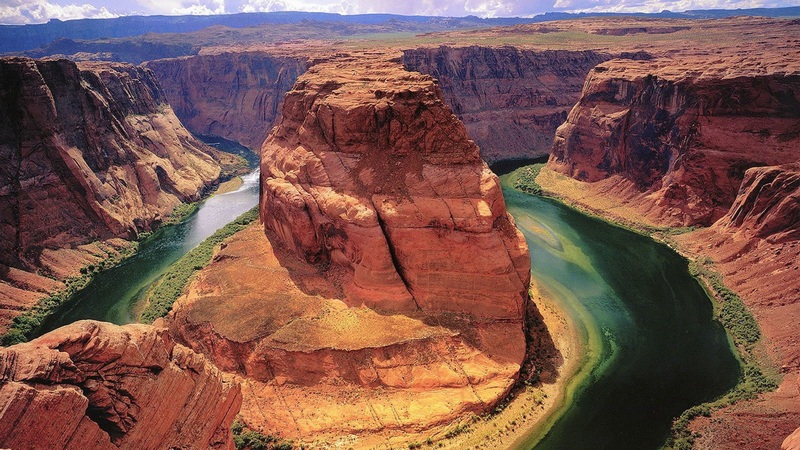 Grand Canyon itself is a very beautiful canyon formed by erosion by the Colorado River . These attractions appear as a steep cliff to the river below , a view of rocks result of natural processes over millions of years . Therefore , the Grand Canyon is often used as a place examined to determine the state of the earth millions of years ago look of the layers formed . Grand Canyon tourist spot famous as the abode of the United States the native Indian tribes . Along the way to the Grand Canyon will be a lot of shops selling souvenirs and typical Indian restaurant selling Indian cuisine . One of the interesting things of the Grand Canyon in the United States this is a suspension bridge Skywalk . Skywalk is located in the western part ( west rim ) Grand Canyon . Skywalk is a suspension bridge semicircular or like the letter U , located approximately 4000 feet from the ground , and the floor is translucent . Standing on the skywalk seemed to walk on air , with views of cliffs , canyons , and rivers are incredibly beautiful surroundings. However , if you have a phobia of heights , maybe you will think many times to walk the skywalk . 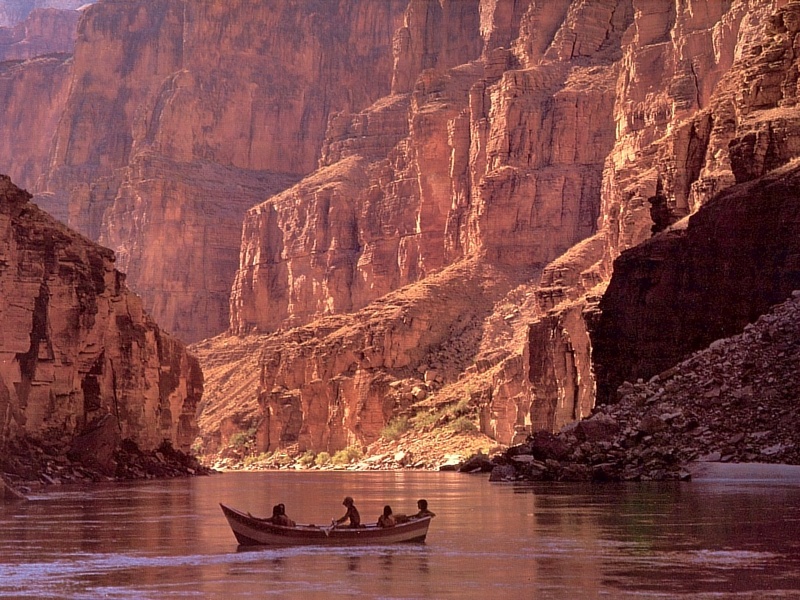 In the Grand Canyon tourist spot is also provided recreational rafting . Rafting across the Colorado River and other rivers with views of the surrounding canyon is beautiful . In addition , this tourist spot also offers views of lakes , ravines , and waterfalls . During a trip to the Grand Canyon are also many other tourist attractions . The trip to the Grand Canyon has many alternatives , you can use the helicopter , walking and also by car, bus , hummer tour and so on . Arriving at Grand Canyon tourist spot , guaranteed you’ll be treated by the amazingly beautiful scenery . Do not miss the chance to see the scenery at sunrise and sunset .